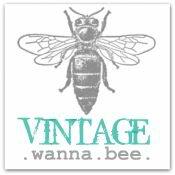 Vintage Wanna Bee: GIVEAWAY!!! GIVEAWAY!!! (My very first giveaway! ...: "I'm giving away one of my CUSTOM BAGS!!! Yep, you read that right. After I made this bag though, I thought about NOT doing the giveaway (cau..."
Okay, I just forgot to add something to my comment. Didn't know it would leave "evidence" of my deletion! I am a new follower of yours through the Give It To Me blog hop. Please stop by and follow back when you get a chance. I used to be with Avon quite a while ago!